America isn’t exactly known for its healthy cuisine. The United States has somewhat of a reputation for unnaturally large portions of unhealthy food. But America is made up of 50 states. Amica International thought it would be unfair to write all American cuisine off as unhealthy without digging a little deeper. So in response, they’ve taken a food tour of the United States and had a closer look at each state’s favourite dish. They’ve then crunched the numbers to find out which state has the healthiest dish. Calorie counting is a big part of modern dieting and often used as a barometer for how healthy a dish is. 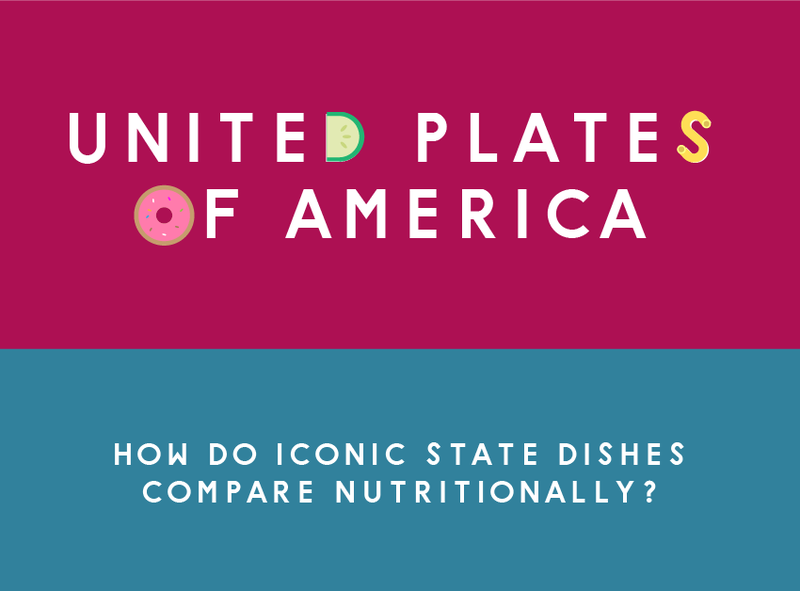 So which US states are leading the way when it comes to the calorie content of their food? New Mexico’s state dish of Green Chilli clocks in very low on the calorie counter. The state’s strong Hispanic heritage and links to Mexican cuisine have led to this spicy dish being a staple of the region. It’s a simple recipe with lots of spice. Spicy food is good for the immune system and this dish is good for the waist. Another low-calorie dish is Virginia’s comfort food of baked apples. It’s a really simple dish and one that will make any Virginian feel at home. It’s essentially apples mixed with some butter, sugar, cinnamon and lemon juice to make a dish that’s bursting with flavours. On the other end of the spectrum, The New Jersey hot dog clocks in with the most calories. It’s amazing how much calorific content is crammed into this hot dog dish. Close contenders for this top spot was Ohio’s state dish of buckeyes, Chicago’s deep pan pizza and Maryland’s crab cakes. So, what about fat content? Which state dish has the least amount of fat and which has the most? Let’s travel the Pacific Ocean, where the Hawaiian state dish is somewhat of a superfood. Poi has just 0.3g of fat per serving. What it lacks in calories and fat content, it makes up for with high carb content. North Dakota’s Lefse, otherwise known as potato crepes also have low fat content as well as the previously mentioned dishes of New Mexico and Virginia. For the fattiest dishes, the high calorie states are also in contention for this unwanted accolade. The fattiest state dish is Wisconsin’s Bratwurst and Sauerkraut. Wisconsin has strong German and Scandinavian links which explains their love for Bratwurst and Sauerkraut. The Vegas Shrimp Cocktail is next, Nevada’s state dish. Followed by the crab cakes of Maryland. Which state is king of the carbs? States with particularly meat-heavy dishes are obviously likely to score lowly on this, whilst some state dishes are a celebration of carbohydrates. Let’s see who comes out on top and bottom. Weirdly enough, the two Dakotas are at the top and bottom of this scale. South Dakota’s state dish of Chislic has absolutely no carbs per serving. This is because it’s made entirely from red meat. For the potato crepes of North Dakota however, 85% of this dish is made up from carbs. If you’re looking for state cuisine that’s low in carbs, head over to Alaska for their smoked wild salmon. Kansas City-style Ribs from, you guessed it, Kansas state are another low-carb serving and consider New Hampshire for their Boiled Dinner. If you’re throwing carbohydrate caution to the wind, head to Georgia to sample their Peach Cobbler. Rhode Island’s Clam Cakes are high in carbs and Colorado’s Rocky Mountain Oysters also score very highly on their carb content. If you’re headed to America soon or have always wanted to, you need to check out this chart. There’s so much variety in the state dishes, where would you feel most at home?